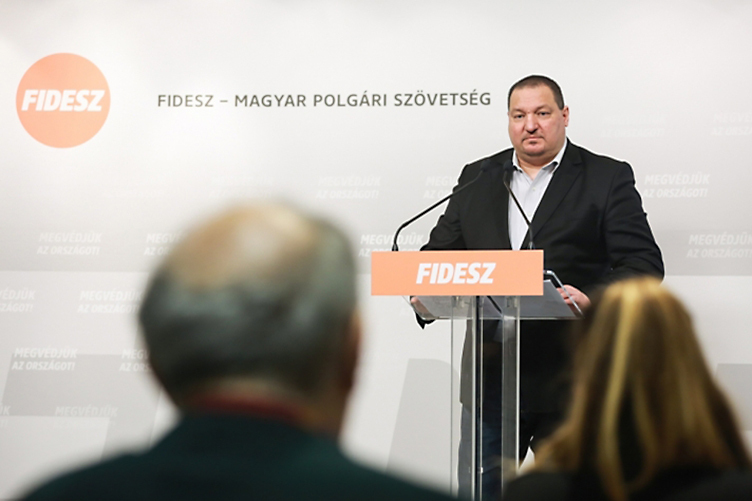 Fidesz vice-president and member of the parliament’s national security committee Szilárd Németh says Politics Can Be Different (LMP) MP Bernadett Szél cannot participate in the committee’s next meeting, reports 444.hu. “Bernadett Szél and her party, LMP, are serving George Soros’s interests. Therefore, the opposition politician cannot participate in the national security committee’s meeting dealing with the Soros-plan,” Németh said at a Monday press conference. The Fidesz MP said that since the government had asked “the people” about the “Soros-plan”, LMP politicians had been working to discredit the national consultation and telling all sorts of lies about it. Németh said Szél is in the pay of the Open Society Foundations’ George Soros as she used to work for NGOs financed by Soros. He stressed that Szél used to work as a project manager for the “migrant caressing” NGO Menedék (Shelter), the Hungarian Association for Migrants. “I think someone who is a paid employee of the Soros empire […] cannot participate in the national security committee’s meeting,” Németh said. According to Szél, Németh’s statement is only an acknowledgment that she is doing her job well. The prime ministerial candidate of LMP told 444.hu that the reason for his anger might be the fact that she posed questions with “unusual thoroughness” to employees of the Constitution Protection Office, Hungary’s internal security intelligence agency tasked with uncovering the “Soros-network.” According to the LMP co-chair, at the meeting of the national security committee it became clear that no such network exists. “The intelligence agency presented a material anybody could gather from the internet,” Szél told the news site. She said she had contacted the Counter-terrorism Information and Criminal Analysis Centre with a request to declassify the Constitution Protection Office’s report. Szél argues that the report is overrated and, were it released to the public, people would see there is no “Soros-network”. According to her, Fidesz’s objective is for people to only know the “propaganda reality” instead of reality. According to the current laws, committee members cannot be legally banned from national security committee meetings. 444.hu contacted the chair of the national security committee, the Hungarian Socialist Party’s (MSZP) Zsolt Molnár, who confirmed that there is no way Fidesz could ban anybody from the meeting. Németh had simply made a political statement, Molnár argued. The exact date of the next committee meeting has yet to be announced. However, the government is said to be preparing an “anti-Soros” legislative package this week that may very well include restrictions on opposition MPs’ participation in committee meetings.